Almost all the women love color black but at the same time all hate the word blackheads. Blackheads are dirt particles which stick on the skin and make it look bad. They are assemble in pores on out skin. These can be appear on skin due to open pores, pollution, dirt and oil etc. Down below are some home remedies to get rid of blackheads . To remove these blackheads from the skin, here are some best ways mentioned below. Apply on the face where there are blackheads. Let it dry and wash it with warm water. Egg whites helps in blackhead removal process and also tighten the pores. In a bowl mix the charcoal powder with rose water and make a paste. Apply on the face and wash it after 15-20 minutes. Charcoal absorbs more amount of impurities from the skin and make it clear from blackheads and whiteheads. This is one of the best way to remove blackheads at home. Wet your face and apply a layer of toothpaste on the blackhead area. Let it dry and spray some water again. Brush it gently in circular motion. Wash your face and rub some ice cubes to close pores. Mint toothpaste is very useful in clearing the blackheads and also very easy to use. Mix baking soda and water to make a fine paste. Apply it on the area of blackheads. Leave it for 15 to 20 minutes and wash it off with lukewarm water. Baking soda is a good source to exfoliate the skin and most effective to blackhead removal. In ½ tbsp of honey add 4-5 drops of rose water. Wet your fingers and remove this mask n circular motion. Honey has anti bacterial properties which is necessary to treat blackheads and also to make the skin clear. In lemon juice add some salt. Do scrub with this on blackheads for 5 minutes. Wash it off with lukewarm water and rub some ice cubes after that. Lemon juice works as wonder in blackhead removal process. It also removes the impurities and tighten the pores. Take the tomato and dip it in the sugar. Scrub it on the face until all the juice and sugar it utilize. Tomato has the power to remove blackheads from the skin easily as it fetches all the dirt from the skin. Whereas sugar is a great exfoliator. In a bowl take the cornflour and add a pinch of turmeric. Make a thin paste by adding water. Heat a pan and pour the mix to heat for 5 minutes. Apply this paste on the face and peel it off after 10 minutes. When heated cornflour it acts like a peel off mask which is good to remove blackheads and dirt from face. Make powder from the seeds and mix milk into it. It will look like a scrub. Apply this on affected area and scrub for 5 minutes. Papaya seeds are great exfoliator. It helps in removing blackheads fast and easily. In a bowl mix gram flour with rose water to make a paste. Apply this on affected area and leave it for 20 minutes. After this remove it in scrubbing motion and wash it off with lukewarm water. Gram-flour helps to remove dirt from the face which causes blackheads and rose water helps to tighten the pores. Crush or mash the strawberry, add honey and lemon juice into it. Do this once in 10 days. The presence of alkalinity in strawberry helps to remove the blackheads and cleanse the pores. It is a natural exfoliator for the skin. Crush the tablets and add water to make a paste. Add lemon juice if you have oily skin or add few drops of any oil if you have dry skin. Apply it on the affected area for 10 to 15 minutes. Aspirin has anti-inflammatory properties which helps in removing the blackheads. Mix the salt with water. Do this 3 times in a day. Salt water helps in reducing the amount of excess oil from the face which causes blackheads. Also salt water make skin clean. Apply the apple cider vinegar on cotton ball and rub it gently on your skin for few minutes. Apple cider vinegar is a multipurpose solution to any kind of skin issue. It will kill any harmful bacteria, cleanse your skin and make it clear. This is one of the best home remedies to get rid of blackheads. Steam your face with the help of a steamer or hot water. Cover your head while steaming your face with a towel. After this take sugar or salt to gently exfoliate your skin. The hotness of steam will open the pores and with the exfoliation it will help to remove blackheads without any pain. Few drops of coconut oil. Massage the oil on affected area. Leave it on the skin to get it absorb into the skin. Coconut oil is really effective in blackhead removal. It consists lactic acid which is great to remove blackheads permanently. Apply the milk to blackheads. Gently massage it in circular motion. Do this for 5 to 10 minutes and rinse it off with lukewarm water. Milk massage helps in reducing the amount of blackheads from the skin. Raw milk consist lactic acid which remove dead skin and dirt from the skin. Mix the water into clay to make a paste of medium consistency. Apply this paste on your face and let it dry for 10-20 minutes. Wash it off with lukewarm water and moisturize your skin after that. Bentonite clay absorbs all the impurities from the skin and cleanse the pores which will tend to less means of blackheads. Crush some mint leaves and extract the juice from it. Dip a cotton ball into the juice and apply on the affected area. Do this daily for 10 minutes. Do this every alternative day. Mint leaves are loaded with so many benefits for the skin. It soothes the skin and tighten the pores. Mix the water into dry green tea and make a paste. Wash it off with lukewarm water. Do this twice a week. Green tea contains antioxidants which make the skin clear by removing impurities and helps to remove blackheads.To get healthy skin you may also try few more green tea face pack. In a bowl take the turmeric and add milk to make a smooth paste. Turmeric is anti-bacterial and anti-inflammatory in nature which help to clean the pores and make it blackhead free. Mix the oil into the sugar. Wet your face and scrub it on your face for about 5 minutes. Sugar is a great exfoliator and when mixed with oil it is best for clearing the skin. It clear out clogged pores and make it blackhead free. Cook enough oatmeal with water that it cover whole area of blackheads. Apply it on face for 10-20 minutes and rinse it off with lukewarm water. Oatmeal are known for so many benefits to the skin issues. It acts as an natural cleanser and helps to remove blackheads. Fresh aloe vera leave or gel. Extract the gel from the fresh aloe vera. Leave it for 15 minutes and wash it off with lukewarm water. It soothes the skin and clear pores from the skin. This all helps in removing blackheads. Grind the Fenugreek seeds or leaves with water to make a paste. Apply a thin layer on the face and leave it for 10 minutes. It consists some antioxidants and anti inflammatory properties which effectively cleanse blackheads. Now, when you know how to remove blackheads at home naturally, do try these home remedies to get rid of blackheads for ever. Note: Before Trying any of the above home remedies to get rid of blackheads if you feel you have a sensitive skin or you are unsure of the product do a patch test. If you liked the article and felt it helpful do leave your comment below and share it with your friends, Thank You. seriously wow! blackheads removal can be so painful, and i am amazed by the no. of remedies you have shared which are easy to do, and can easily be done at home! thanks girl for sharing. This is amazing, Black-heads is a big nuisance for me as I have oily skin. I am saving this post for later to try each of the home made hacks. The one thing I’m scared of is the blackhead remover. Thanks a lot for sharing these simple home remedies. I never knew that mint toothpaste is an awesome way to remove the black heads. Thanks for these amazing home remedies. Very useful tips, the best thing is most of the ingredients are easily available at home. I’ve used Honey, baking soda and toothpaste from the list above! Will definitely try the others! Very thankful. Wow again some really interesting and useful hacks up your sleeve. Can you please suggest a good mint toothpaste for use in this purpose? Loved reading your post! Cornflour & baking soda for black heads is new to me.I am surely gonna try. This post indeed helpful. Someone asked me some home remedies for removing black heads, will share this post with her. I am surely trying these tips. much needed post for me. 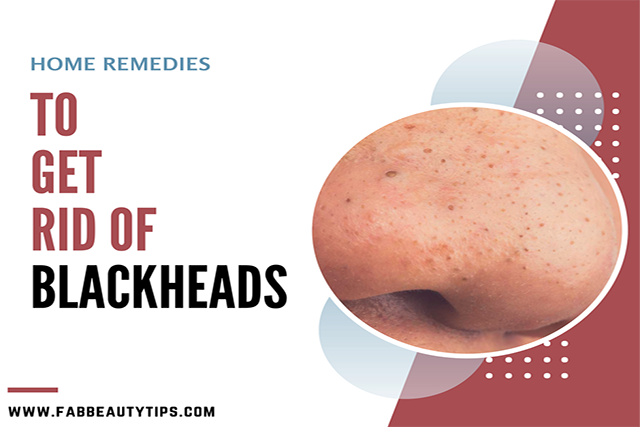 Thanks for sharing this post, black heads appear along during summers, hopefully these remedies will work! These remedies are very effective for getting rid of blackheads. I used apple cider vinegar for treating my blackheads and it worked great for me. My skin looks clear and healthy now. Thanks for sharing.